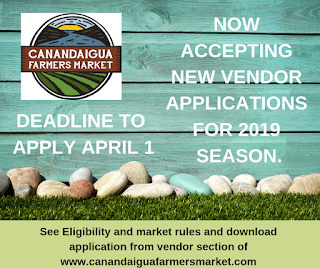 The Canandaigua Farmers Market is an association of farmers and small scale food processors consisting of approximately 30 vendors who live within a limited radius of Canandaigua, NY. 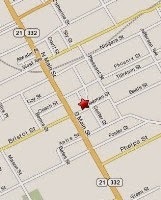 It is Ontario County's only farmer-run market. Agricultural vendors produce a wide variety of quality vegetables, fruits, flowers, meats, and eggs. Small scale food processors offer a variety of freshly baked goods, sauces, pickles, jams, maple products, specialty mustards and honey. Vendors are required to sell only what they produce. 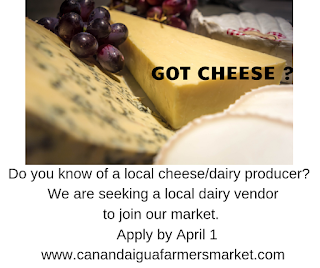 The market is located in the beautiful Finger Lakes Region of Central NY and is within an hour's drive of most wineries and major attractions in the region. Emphasizing the culinary tourism aspects of the area, it is just up the street from the world class NYS Wine & Culinary Center, which uses many products from market vendors in its culinary activities. In the interest of customer safety, we ask people to enter and leave the market using the openings at either end of the pavilion. Thank you.